There are many different gastrointestinal digestive conditions we treat here at our Plano, TX clinic. Some conditions are rather straightforward to understand and treat, while others can be very complex. Dr. Cooley feels it is important to take the time to educate his patients on their digestive conditions. He finds that through education patients are better equipped to improve their health and execute recommended treatment regimens. In some instances, symptoms can develop into different types of digestive conditions or gastrointestinal diseases. Digestive conditions can range from mild to severe. However, it’s important to note that each one is treatable if diagnosed early enough by a gastroenterologist. Dr. Cooley has provided information on a few of the more common digestive conditions he sees patients for at his Plano, TX GI clinic. He encourages you to click on the Learn More button for each condition you are interested in to learn about when to see a doctor, symptoms, diagnostic process and common treatments. 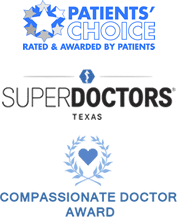 If you should have additional questions about your digestive health, we encourage you to call our practice at (972) 758-5484. This disease damages the digestive tract and may cause severe symptoms due to inflammation. The key to beating colon cancer is early detection. Find out when you should be screened. This a chronic disorder that causes inflammation of the GI tract. Dr. Cooley explains the diagnosis and treatments. Do you have bloating, abdominal pain and/or constipation? These could be symptoms of IBS. If left untreated, ulcers can cause significant issues. Dr. Cooley explains symptoms, causes and treatment options.